I am seriously still on the biggest high ever from Sunday! Who else is with me? I cannot believe my third and final Brisbane Find Your Fierce event for the year is done and dusted. FYF is going inter-state and also to NZ for the remainder of 2018. Don't you worry Brisbanites, the next FYF will be back in Feb 2019. I honestly have to say this was the best one yet, I think it had a lot to do with the brand new, gorgeous venue, THE REFINERY. Having both indoor and outdoor spaces to mingle throughout was perfection, especially when the weather was in peak performance for us as well. 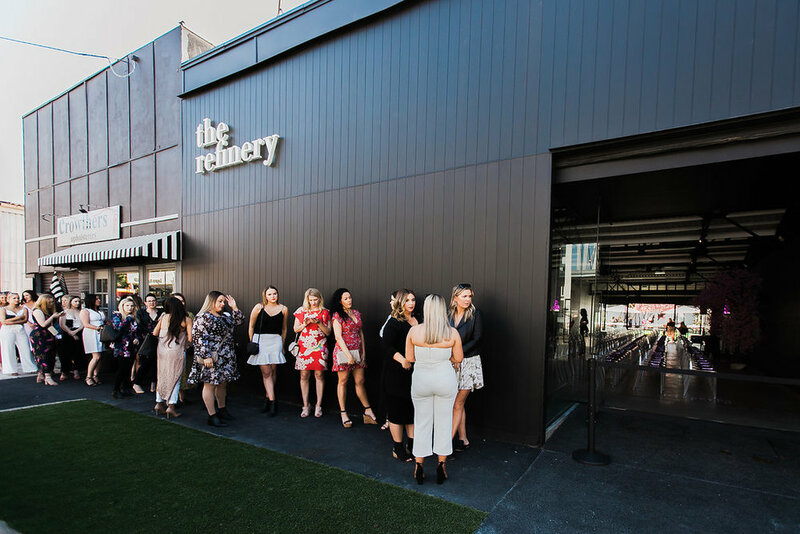 The insanely talented @tyramoonmusic was singing as guests were entering the stunning venue, rose' and champagne were flowing, and a delicious spread was catered by The Refinery. Fierce Femmes waiting for 12pm to hit. The Fierce Femme panel was graced by four incredible, beautiful, fierce women, all who shared their individual journey on how they found their fierce in starting their businesses, becoming mothers, and how they found their fierce in overcoming any adversity or hardship they may have faced throughout their life. The lovely and inspiring Jazze Jervis from @thecalmcompound spoke about essential oils, the benefits and positive impact they can have on your family and life. Throughout the day, every soul in the room was captivated, the connections were real, raw, genuine and I know for a fact that everyone left with something to take away with them spiritually/internally, not just a really awesome custom goodie bag created by, The Bundle Collective! The afternoon was filled with so much laughter, some tears (I call this cleansing the palette), yes - there were even crowd hugs, and some epic conversations and a bit of a deep Q and A with myself. Most of all, endless inspiration and love. I really am so incredibly blessed to be able to do what I love, and genuinely help others along the way. That's what this entire movement is about, it's not just for me, it's for US - all of us! There really is something truly beautiful when a room of over 150 women come together all for the same reason, and this particular reason was, to FIND OUR FIERCE!